On this sunny but crisp Autumn morning a little stash builder stash note from me. Over the past weeks I have collected a variety of novelty and text prints I'd like to share with you. Isn't this a great red and white bundle ? 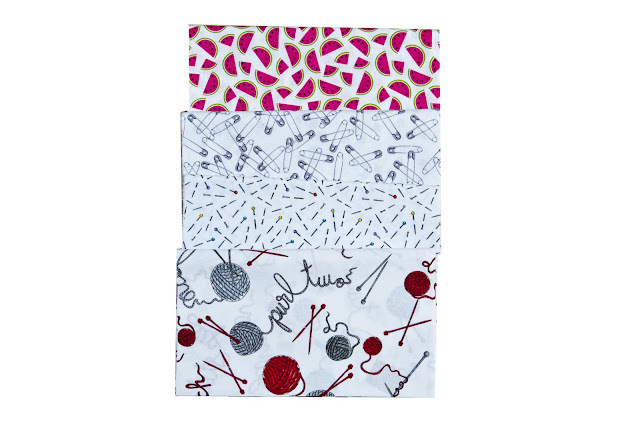 These are all Timeless Treasures Novelty Prints: Watermelon, Savety Pins, White Pins and finally Knitting needles and yarn. 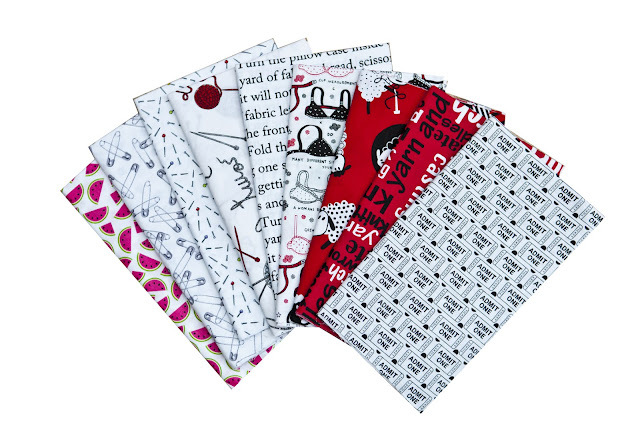 The second bundles is also all from Timeless Treasures: From left to right, Movie Tickets, then How to make a pillow case, White Bras (my absolute favorite ! ), Red Knitting Words and last but not least Tossed Sheep. 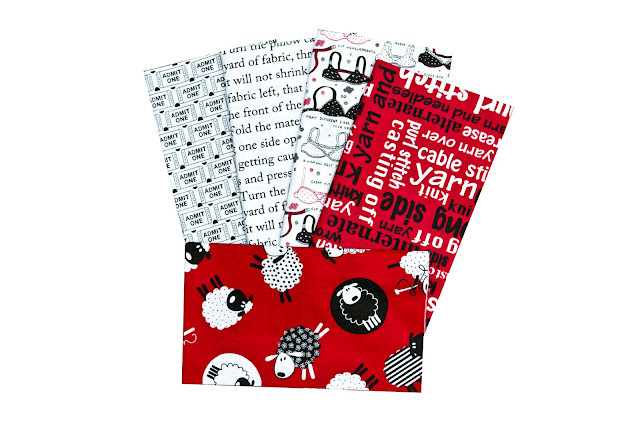 How can anybody resist those knitting sheep ! Have a lovely Sunday. I will spend another day working on a secret project (hence not much news from me the past week nor the coming week) but hopefully I will be able to let the cat out in 10 days time or so. Oh the bra's are brilliant!